← Want to Save $ on your Water Bill This Year? Early June, my favorite time of the year. The beginning of the summer when summer is gentle and new, full of lush greens, clear blue skies dabbed with cotton candy clouds, when fresh earthy and herbal scents mingle in the morning dew. June also brings the sweet perfume of ROSES and bright rainbow of colors popping up in the PERENNIAL GARDENS. 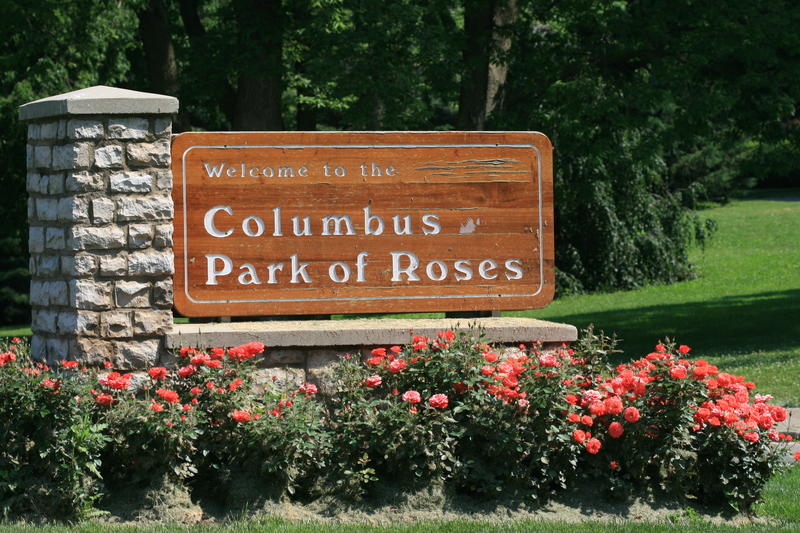 Saturday, June 8, is “STOP AND SMELL THE ROSES” celebration in one of our nation’s top ten public rose gardens, Columbus Park of Roses. 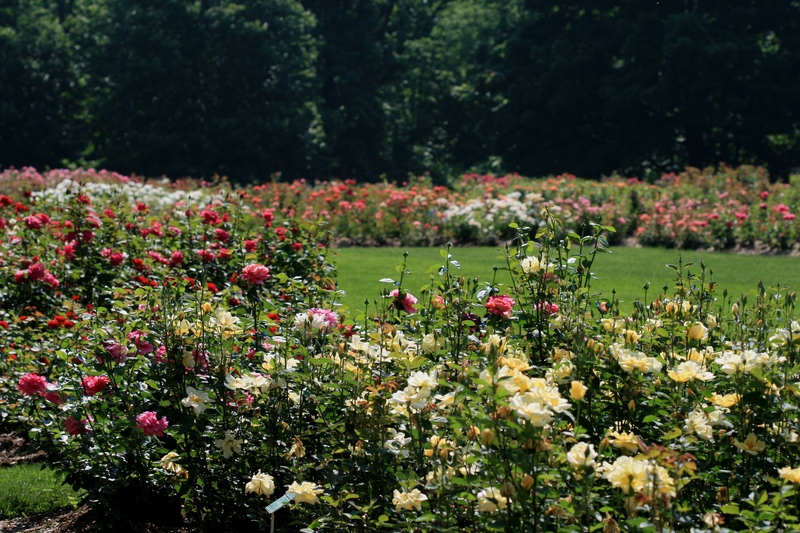 Experience the color and fragrance of thousands of roses in their peak glory as you stroll through 13 acres. Horticulturists and rosaries, (and OAKLAND NURSERY!) will be present to answer your questions on roses, perennials, herbs. 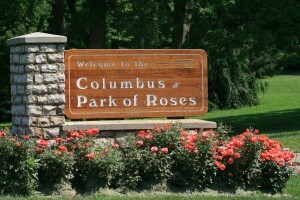 Witness award winners and entries of Columbus Rose Club’s annual rose show 1pm-5pm in the shelter house. Watch artists from Central Ohio Plein Air, Worthington Area Art League, and local ‘junior’ artists painting in the gardens. Listen to music throughout the day, from bagpipes and banjo to piano and Clintonville Community Band. OAKLAND NURSERRY will raffle off a rose each hour. Food and beverages will be available for purchase as you enjoy the activities 10am-6pm. 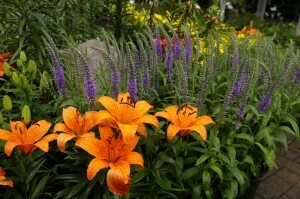 Also June is PERENNIAL GARDENING MONTH! Perennial plants punch surprises into our gardens and shrub borders with fresh faces of color and form. From Shasta daisies, coreopsis, and coneflowers to delphinium, catmint, salvia and speedwell, all the perennials so please our eyes, put smile in our spirit, and dance in our feet. June is an excellent time for planting perennials, as you can really see the flower color and form, size and texture of the plant. Remember to deeply water newly planted perennials two to three times a week during summer’s warmer temperatures. Enjoy this beautiful month of June! This entry was posted in Gardening, Landscape and tagged Columbus, Columbus Rose Club, Festival, Fragrance, gardening, Oakland Nursery, Park of Roses, Perennial, Roses, Summer. Bookmark the permalink.